Retailers are ever expanding into stand alone outparcel locations, and they should be aware that outparcel leasing creates unique circumstances that must be considered. The outparcel user will typically ask the landlord for a number of restrictions that many landlords usually do not grant to in-line tenants but, nonetheless, are essential for an outparcel user. The unwary landlord needs to consider the ramifications to the center and their remaining space. One common request is for a restrictive covenant protecting the tenant from competing uses. The outparcel tenant will typically construct its own building, and as a result of such significant investment, it wants to be protected from competing uses in the center. Therefore, the landlord may be prohibited from leasing in-line space to a similar use. Visibility is also a major issue. The outparcel user will generally want some protection from the landlord that it will not construct on the remaining portions of the center so as to impede the visibility or the access of the outparcel. No build zone areas are a typical request. Landlords will generally agree to such restrictions to facilitate the ability of the tenant to achieve maximum exposure. 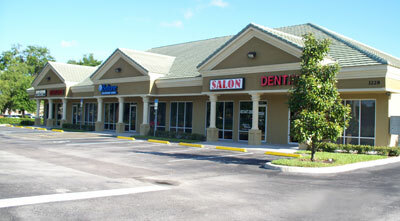 Conversely, large tenants in the center will also have provisions in their leases protecting their visibility. This will typically result in restrictions on the size and height of the building allowable on outparcels. Therefore, tenants must inquire as to what limits exist on their construction ability. Another major issue to be negotiated is parking and access. Often, the outparcel user will not have direct access to the adjoining roads. Therefore, a cross access and parking agreement will need to be negotiated with the tenant, unless such an agreement already exists. Access is a key element to every tenant, and the agreement will be heavily negotiated together with the cross parking provisions. Generally, the tenant will insist that its customers shall have the right to park on the landlord’s parcel, and the landlord will ask for reciprocal rights. A reciprocal easement agreement is also not uncommon. These elements associated with the negotiation of outparcel leases are unique and require additional legal analysis and work. The other real estate lawyers at our firm and I write regularly in this blog about important business and legal matters for the commercial real estate industry in Florida, and we encourage industry followers to submit their email address in the subscription box at the top right of the blog in order to receive all of our future articles.